Bathroom remodeling is the perfect way to improve your quality of life, elevate home design, and increase the resale value of your existing property. If you’re planning a bathroom overhaul, here are a few helpful tips from EdgeWork Design Build, Minneapolis, MN. Since bathrooms are smaller than other rooms in a home, you’ll have the opportunity to splurge on a few luxury materials to improve the quality of the space. When working with a remodeling contractor, express your interest in incorporating high-end counters or tiles. Together, you can create a plan to add luxury without blowing the budget. Once you’ve settled on a budget, start brainstorming changes you may want to make to the layout. As a general rule of thumb, avoid setting the toilet so it faces the door. Instead, keep it tucked further away and out of direct sight lines in case the door swings open unexpectedly. 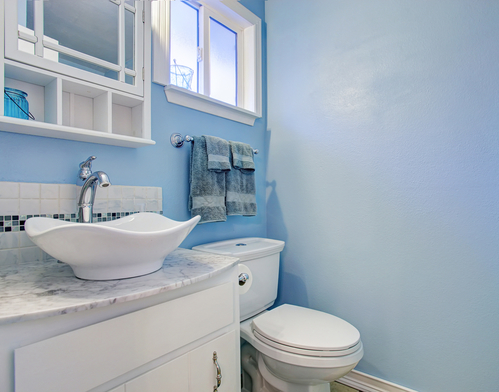 During the bathroom remodeling process, it may be tempting to gut the entire room and start from scratch. Before you take a sledgehammer to your tile, consider leaving certain vintage elements. For example, cleaned up subway tile paired with an updated vanity could add character and class while saving time and money. If you aren’t a bath person, a large tub could be taking up space in already cramped quarters. Consider converting your bathtub into a shower to save space and make it easier to maneuver in your bathroom. The contractors at EdgeWork Design Build in Minneapolis, MN, specialize in home design, from bathroom remodeling to kitchen overhauls. Call their offices at (952) 401-3900 to speak with a helpful member of their team about your project needs, or visit their website to find out why these remodeling contractors have become the area’s one-stop shop for elevating living spaces.